The new villas (2011) are located spread out over the park. The apartments all have complete and modern furnishings and all have contemporary equipment. Each villa has its own lounge area. 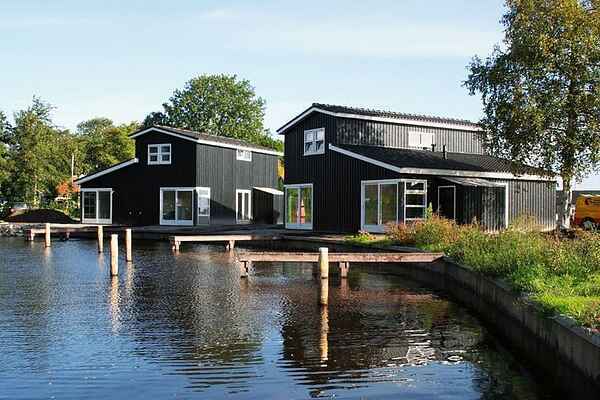 TThere is a connected and single-level accommodation for 4 people (NL-8493-05).There are also semi-detached variants with two floors; a 4-pers. villa (NL-8493-06) and a 6-pers. variant (NL-8493-07). Finally, there are the detached villas for 8 persons (NL-8493-16) and 10 persons (NL-8493-08). The NL-8493-08 are two types joined by a door in the living room. All villas have a garden with terrace and garden furniture.